Add a party package when you book your seats. 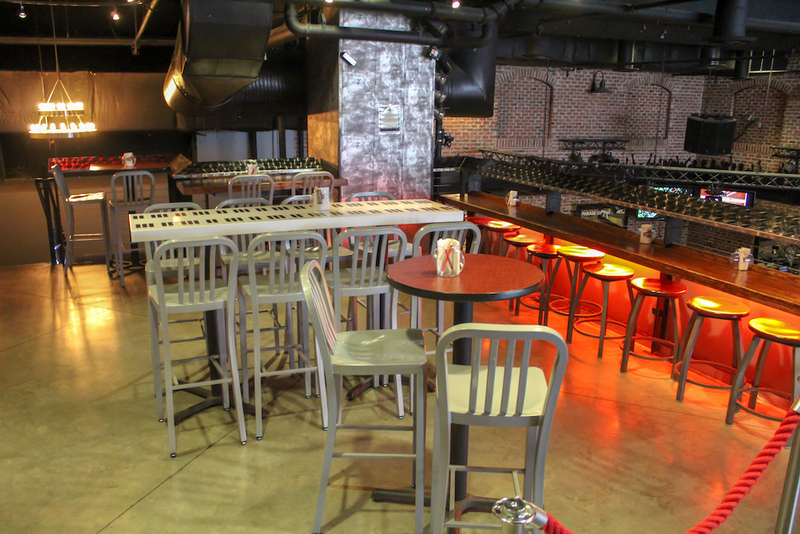 Add the party package to your seat purchase for an additional $10 per guest. You must have a minimum of 6 guests to get the best value from this package. 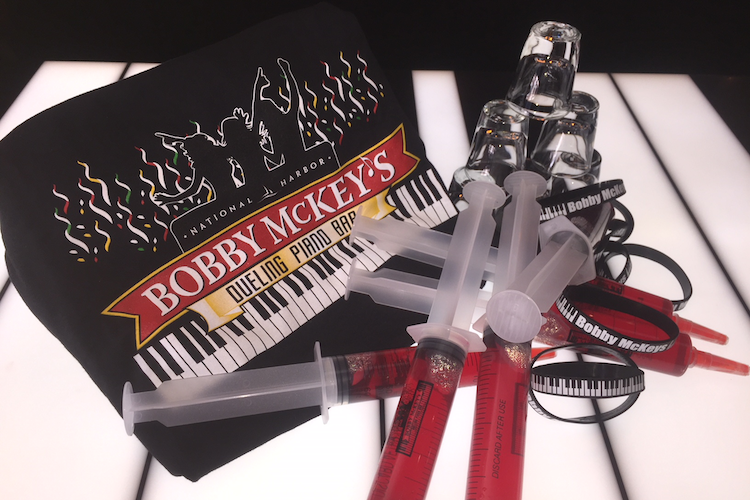 Each person gets a Jell-O shot, a Bobby McKey's shooter, logo wristbands, a TV Shout Out message displayed from 7:00PM to 10:00PM, and a Bobby McKey's logo t-shirt for the celebrant! Package cost is $60 for the first 6 guests plus taxes and gratuity added at checkout. Cost is $10 (plus tax and gratuity) for each additional guest over the required 6-person minimum. Shout outs purchased with night owl seats will be stage shout outs done by the players and not displayed on the TVs. 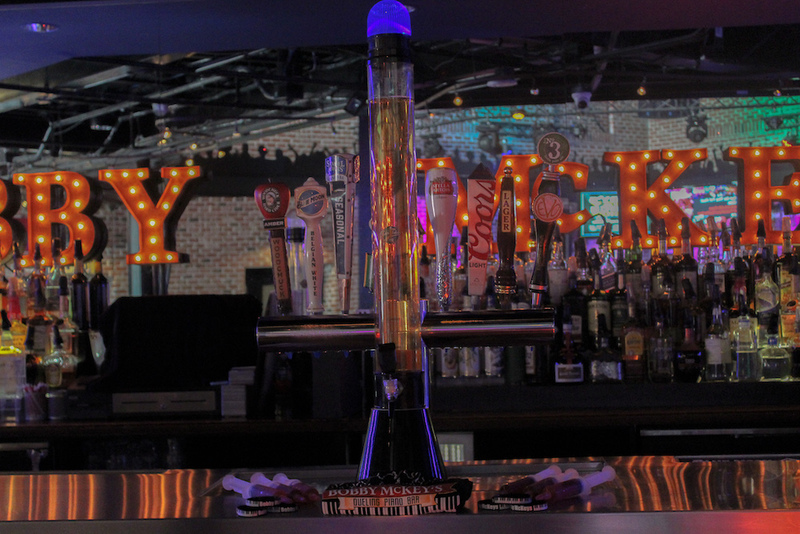 100oz tower of draft beer of your choosing served in our popular strobe light beer tower. Each tower serves 6 glasses. Gratuity and sales tax added at checkout. Please contact us for an updated list of available drafts. Salsa and guacamole with chips, plus hummus with veggies and pita bread. Wings, mozzarella sticks, and Angus Beef Sliders. Choose any of the following sauces for your wings: Buffalo, Maryland, barbecue, or pineapple chili glaze. Platters come in two sizes: medium (serves 10) and large (serves 15). See our booking calendar for current pricing. Gratuity and sales tax added at checkout. 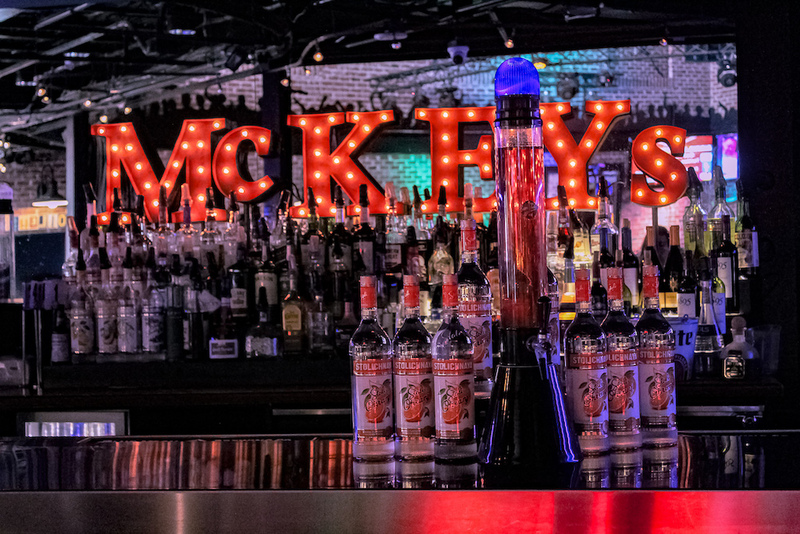 100oz draft beer of your choosing served in our popular strobe light beer tower, 6 Jell-O shots, logo wristbands, a Bobby McKey's t-shirt for the celebrant, and a TV Shout Out displayed from 7:00 PM to 10:00 PM. Package serves 6 guests. If your party has more than 6 guests, you can purchase additional beer towers and Jell-O shots. Gratuity and sales tax are added at checkout. Shout outs purchased with night owl seats will be stage shout outs done by the players and not displayed on the TVs. Tower serves 12 drinks and contains 64 ounces of a mixture of Stoli Oranj Vodka, ginger ale, cranberry juice, and a squeeze of lemon. Gratuity and sales tax added at checkout. Enhance your girls' night out experience with this fun addition. 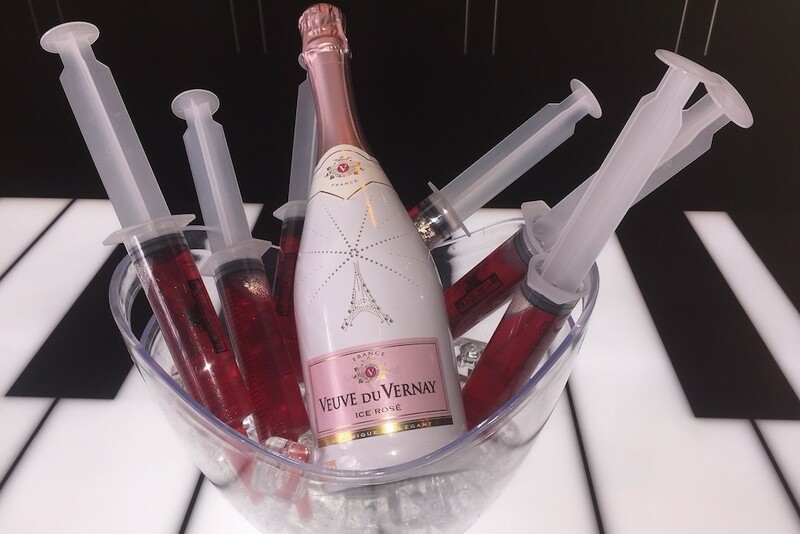 One bottle of delicious Veuve du Vernay Ice Rosé and 6 Jell-O shots for just $60! The package is designed for 6 guests. For more than 6 guests, additional bottles of rosé and Jell-O shots can be added upon request. Gratuity and sales tax added at checkout. Celebrating something special tonight? We'll put your name in lights by adding you to our outdoor marquee. Place a message, photo or video on our entry façade to highlight the fabulous you (or your bestie or loved one)! This is an add on that can be purchased on our ticketing page . Need room for a lot of party people? Check out these different party sections. 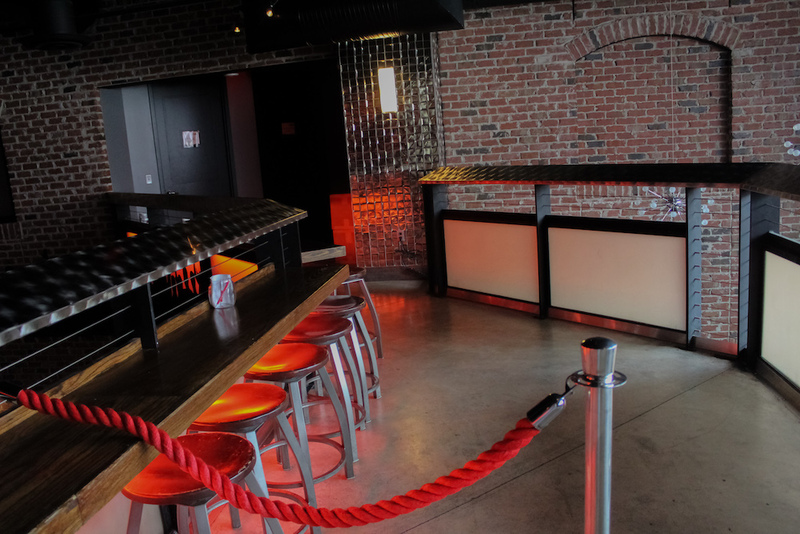 Exclusive private space on an elevated platform with bottle service option and comfortable booth seating for groups of 14 to 18. Price includes admission for up to 18 guests.​ Section comes with the following: a logo t-shirt, logo shot glass, and 1 Jell-O shot for the celebrant, My Name in Lights* picture and/or message on our outside marquee (a $50 value), glow necklaces, wait service, TV shout out message on the flat screens above the stage, and logo wristbands. Roped off area. Please note this area is not wheelchair accessible. Section includes 10 mezzanine rail seats, 15 non-view table seats, and standing room for 10 guests for a total of up to 35 guests. 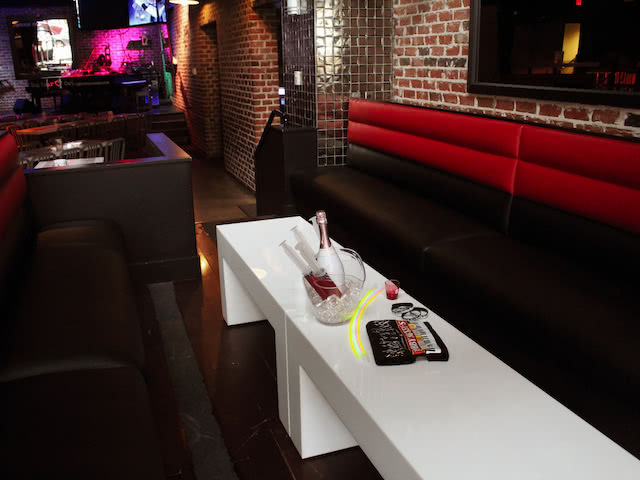 Section comes with a logo t-shirt and 1 Jell-O shot for the celebrant, My Name in Lights* picture and/or message on our outside marquee (a $50 value), TV shout out message on the flat screens above the stage, and logo wristbands.​ Complete your party experience by adding a beer tower package, food platters to share, or a champagne toast! Food and drinks can be ordered from the bartender. Section includes 15 seats at the mezzanine rail and standing room for 10 for a total of up to 25 guests. 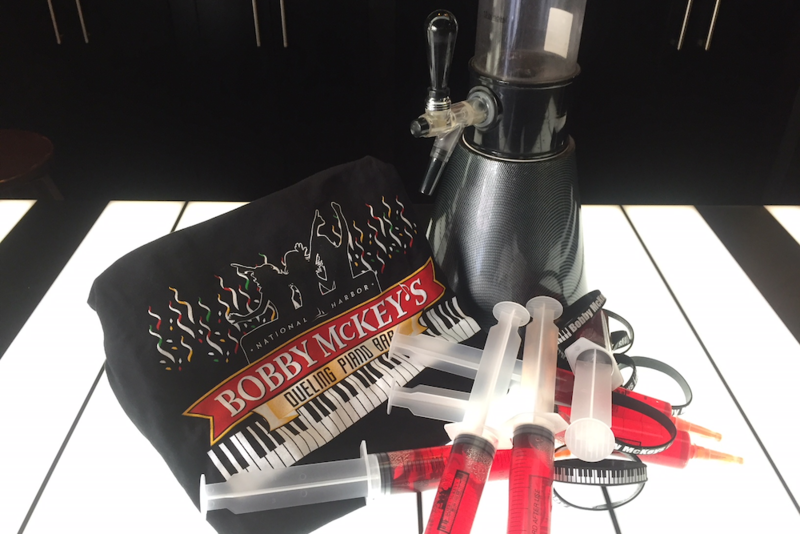 Also included are a logo t-shirt and 1 Jell-O shot for the celebrant, My Name in Lights* picture and/or message on our outside marquee (a $50 value), TV shout out message on the flat screens above the stage, and logo wristbands.​ Price includes admission for 25 guests. Complete your party experience by adding a beer tower package, food platters to share, or a champagne toast! Food and drinks can be ordered from the bartender. Best for groups of up to 35 guests at tables 21, 22, 28, and 29. 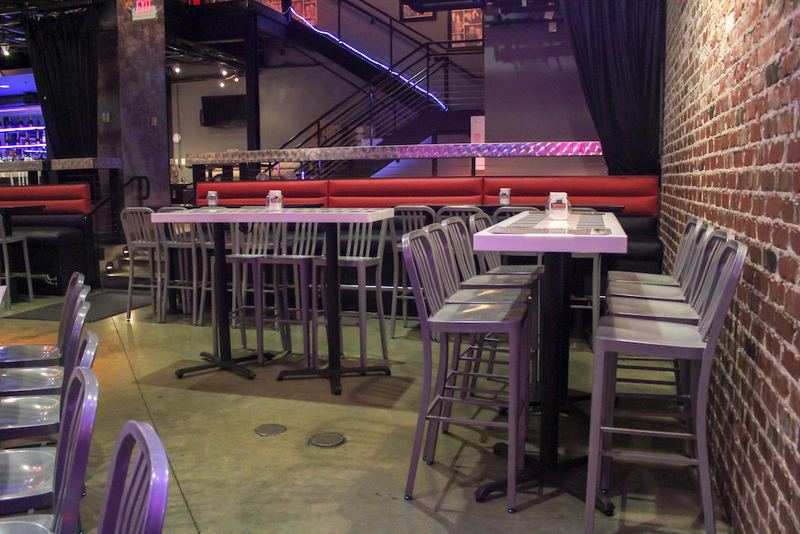 Seats are removed from table 22 to make room, however, you get a total of 25 seats and up to 10 standing. Price includes admission for up to 35. 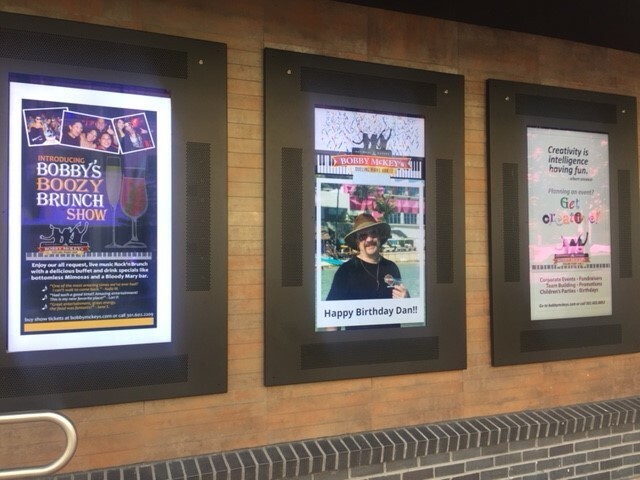 Section comes with a logo t-shirt and 1 Jell-O shot for the celebrant,​ My Name in Lights* picture and/or message on our outside marquee (a $50 value), glow necklaces, wait service, TV shout out message on the flat screens above the stage, and logo wristbands. 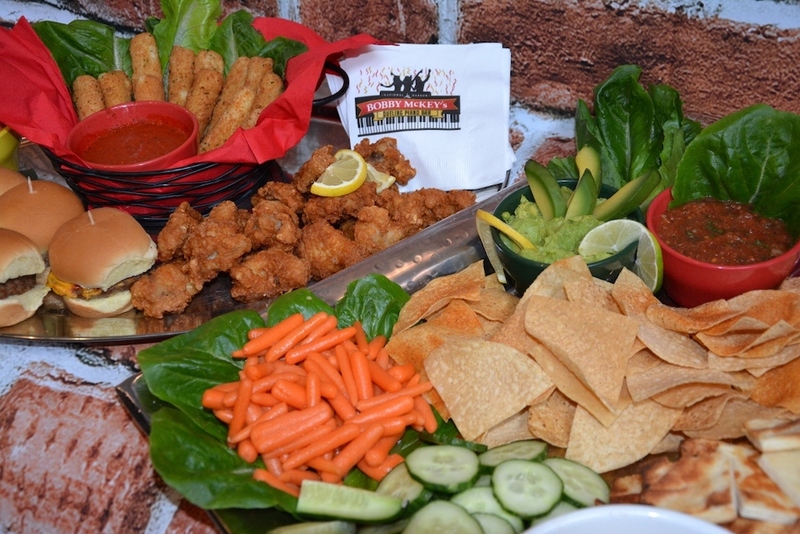 Complete your party experience by adding a beer tower package, food platters to share, or a champagne toast! Cannot be roped off. Subject to availability. Please contact us for more details.